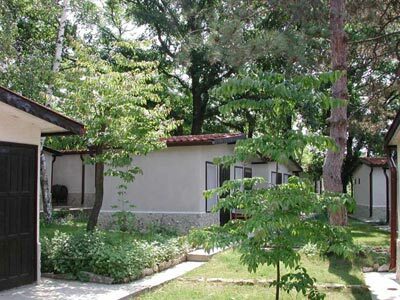 Hotel Overview Summer holiday at Vania holiday village near Pomorie. Spend an unforgettable summer vacation at the Vania holiday village located just at 20 steps away from the sea under the cool shade of a small pine-tree forest. The complex has 15 villas, a coffee-restaurant, a free parking lot, a fishing quay, tranquillity, security and silence for you and your kids. We are interested in coming to Vania holiday village in 15.08.2008-25.08.2008. Please send us price for 5 persons. We need two rooms: one-2 beds, and another with 3 beds. We are interesed In coming to Vania holiday village in 24 (25).06.2007 – 08(09).07.2007.Could you please send us a concret price for three Families.